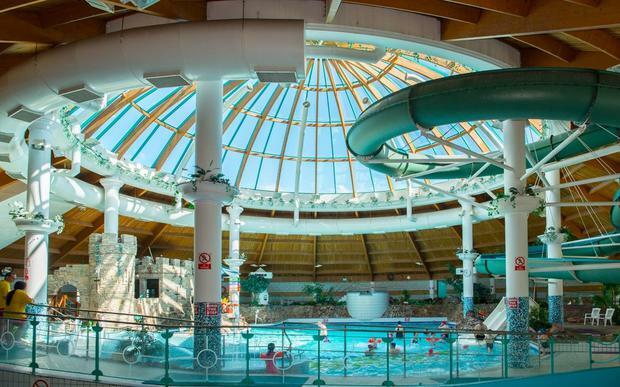 One of the best known water parks in the country faces closure unless there is radical reform to deal with the insurance crisis. Denis Reen, chairman of the Aqua Dome in Tralee, Co Kerry, said "compo culture" was making it increasingly difficult to run the indoor park and swimming pool. His comments come as consumers, businesses and voluntary groups claim Government attempts to reform insurance and cut award levels have stalled. Minister with responsibility for insurance reform Michael D'Arcy has blamed "off-the-wall" pay outs, and criticised insurers for increasing profits by repeatedly loading premiums on companies. The well-known Kerry water park has seen its insurance premium double in the last year alone and is also now struggling to get cover. Mr Reen said the only way it was able to get public liability cover last year was to accept it covers the first €185,000 of any claims. This so-called excess was up from €75,000 the year before. "Closure is inevitable if the trend of rising premiums and higher excesses continues. Unless the Government gets to grips with the situation we will be forced to close at some stage in the future," he said. "There is no will to make the changes that are necessary. Minister D'Arcy is up against it to try to make changes because the insurance and legal lobbies are too strong." The company behind the Aqua Dome has to set aside €2 for every €10 it takes to cover insurance costs and claims. "Our turnover is €1m and then we have to keep aside €200,000 for insurance. It is just not tenable," said Mr Reen. He said the country was suffering from a compo culture. "We have a couple of hundred thousand visitors each year and the majority of these go without incident. But it is the frivolous claims that are causing the problem, making our insurance rise." He said the centre was struggling to find an insurer. It uses London firms, as Irish ones won't quote for business. But many UK insurers are turning away from this country as they see it as too much of a risk. Mr Reen's comments come as seven activity centres have been forced to close in the last three months. Others warned they face closure. A bowling centre in Offaly and a children's train ride service that operates in large shopping centres have ceased operations. The Alliance for Insurance Reform said reform was taking too long and it was dismayed at the admission from Mr D'Arcy that plans to set up a Garda fraud unit have made no progress. A spokesman for the minister said he shared the frustration of consumers and small firms with the delay in setting up a dedicated Garda insurance fraud unit. Mr D'Arcy and Justice Minister Charlie Flanagan were pushing ahead with plans to bring award levels down to the levels that pertain in other countries.